Orange Spain and Huawei recently joined forces to hold the 7th Global Antenna Technology & Industry Forum in Madrid and release a series of 5G-oriented “1+1” full-scenario antenna solutions. In the 5G era, one passive antenna is required to incorporate functions of all antennas on the live network, release antenna space to deploy a Massive MIMO antenna, and satisfy future evolution requirements through one-off deployment. “1+1 SBS” is a typical scenario where two antennas (passive and Massive MIMO) are deployed on two horizontally parallel poles. The passive antenna incorporates functions of all antennas on the live network and implements 4T4R on sub-3 GHz bands. The Massive MIMO antenna expertly helps to meet the strict capacity requirements of ultra-heavy-traffic hotspots. In the “1+1 Stack” scenario, two antennas are installed at the upper and lower ends of the same pole. The height of the passive antenna (deployed at the lower end) must be less than 2 meters, which is a conscious design decision to reserve available space for the Massive MIMO antenna. The “1+1=1” scenario requires a single antenna to support 4T4R on sub-3 GHz bands as well as Massive MIMO/8T8R deployment in the C-band. This appropriate counter measure to the largest extent helps resolve the often challenging issue of insufficient space. Now, Huawei has developed a full range of diverse antenna solutions that support the preceding three scenarios. Orange Spain and Huawei have jointly verified antenna solutions in “1+1 SBS” and “1+1=1” scenarios on the commercial network. 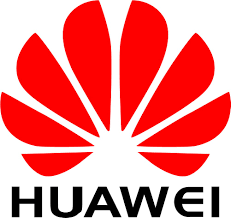 The industry’s first 9-frequency 18-port antenna released by Huawei is used as the passive antenna. It can implement 4T4R on sub-3 GHz bands and serve as an alternative for existing antennas. In addition, it reserves extra ports for frequency band deployment in the future. The C-band Massive MIMO antenna is used as the active antenna. The two “1+1” solutions provide 5G-oriented evolution capabilities for Orange Spain.